Discussion in 'Streetwear and Denim' started by troika, Sep 20, 2018. This thread will be for sharing pics of your Buttero boots, shoes, and sneakers, as well as for asking fit and sizing questions. Have at 'em! Here's a pair of lace ups (don't remember the model name) from this past winter. How do you guys take care of your leather Tanino Butteros? I use Saphir cream to soften up the leather and keep it from drying out. Also considering using plain beeswax, since my cobbler recommended it. He also told me the Saphir will soften the leather but also make it even more susceptible to damage. What do you guys think? Using shoepolish just seems wrong, intuitively. How do you guys take care of your Butteros? I use Saphir cream to soften up the leather and keep it from drying out. Also considering using plain beeswax, since my cobbler recommended it. He also told me the Saphir will soften the leather but also make it even more susceptible to damage. What do you guys think? Using shoepolisn just seems wrong, intuitively. What kind of butteros? You talkin about sneakers? Yeah realized after I posted that I had been unclear. They don't sell anything but the Taninos around here, so I forgot there were other styles. I don't treat my Taninos at all. Sometimes a quick wipe and brush on the suede, but that's it. I mean, they are still sneakers, right? Though not enough to sway me from just getting Danners instead. 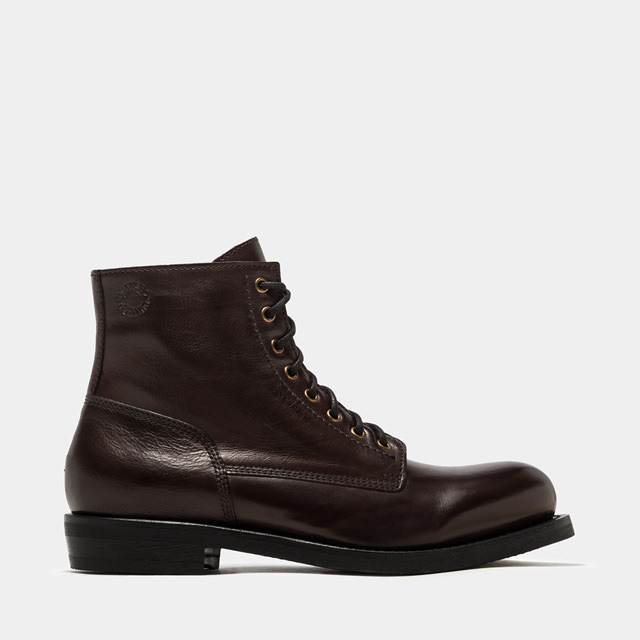 I have a pair of their Canalone hikers from Barneys in 42, but I found them to fit a half to a full size SMALLER than their other boots. I have a lot of pair of their boots in 42, and def need 42.5 or 43 in those. I'm gonna sell them soon. Shame, I really love the black/gold, and they are absolute monsters for snow/ice. Well these are leather (calf? ), so they did have the potential to dry out, esp in our climate. Right now I do a small coat of Saphur Renovateur once a year when the letter looks dry. @troika Those look fantastic. I'd totally forgotten about that silhouette...I like it a lot better than the current one. I'd almost bought a pair of them a few times before when they would hang around Barneys Warehouse, Yoox and the like. But with what you've said, I definitely would have mis-sized. I started to look at both Buttero's design and Margiela's quality a lot differently once I learned the former did construction for the latter. Raised my opinion in both regards. In particular, I started to see a lot of what I'd (immaturely) regarded as cheap/flimsy construction on Margiela stuff was usually a best-case construction method when aesthetics couldn't be compromised. There are some of the old style at downright reasonable prices on Farfetch. As well as a bunch of Tonfas, for that matter. EDIT: Also, I'm guessing this is the same leather Feit is charging $650 for on their sneakers. There's more to it than that, of course, but it wouldn't be the first time I'd seen Buttero offering shoes in a leather some other brand markets as a signature style at half the price of the others. I do love me some Floyd's best decision ever. They're getting a ton wear this summer, the unlined suede is decent in the heat/humity as well. I had no idea that they produce for margiela, I'll have to take some side by side shots of zip ups from both brands for a little comparison. Oh, I know they're quite different. I just find Feit very frustrating because I've always been a huge fan of them in theory and always quite disappointed when I've held their stuff in my hands. I've probably bought and returned or bought and quickly resold 6 pairs of Feits by now. I've gone from being disappointed to frustrated and now I've got a negative attitude toward them for no good reason at all. I agree re: Viberg sneakers. Honestly the Vibergs look better in "real" shots than product shots but that's not saying much. Sole is identical. (It's RollingGait, which these days is becoming nearly as ubiquitous as Margom cupsoles used to be) I like the design of the upper a bit better on the Butteros...they look like they were really designed with the sole in mind, while the Vibergs kinda look like they stuck a more traditional sneaker upper on a less traditional sole and it doesn't quite work. Pricing is basically a wash. If I had to get one of em, I'd get the Butteros. 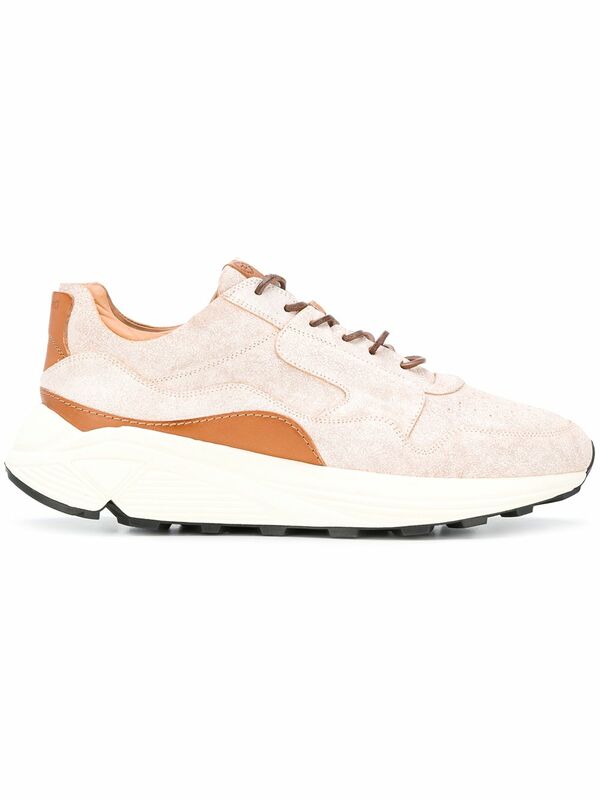 But if I actually had to get a designer chunky sneaker, I'd get one of Our Legacy's models, many of which I find better than either, or Filling Pieces' surprisingly excellent Trimix piece. Areed overall, I love the OL and FP pairs, but there is something veery appealing about the Butteros. Not super stoked on the 90s retro sneakers wave, but I might have to get some just for fun. I'd go for white. They look good in white. The white monkey leather (see the last pics on their IG) looks particularly good, though I don't see it for sale. 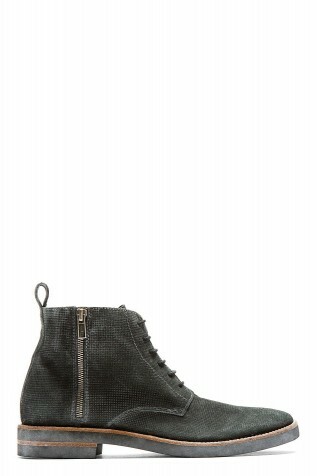 On the Margiela note...I just noticed the shape/last of this boot is identical to a pair of Margielas I briefly owned. Those were great boots. They looked really good on-foot.